Check out the Damn Good Music Picks from my dad below and the link to how my family survived the holidays without gluten. My dad has has always loved music. Before everyone had surround sound speakers, my dad would crank up our stereo and tell us all to be very quiet and just listen. He would close his eyes and soak up the music--everything from Manheim Steamroller during the holidays to Phantom of the Opera. And he loved Willie Nelson "Blue Eyes Crying In the Rain." A classic that I will always and forever love, too. When we were kids he would play parts of "Raphsody in Blue" on the piano, it was amazing. He and my mom used to sing together all the time. He loved music and I loved watching him love music. My pops still loves music. We always share our most recent itunes find and swap music when we are together. It isn't new, but it is still good. Shelby Lynne singing Dusty Springfield. Now my dad is sharing his love of music with my kids. Not sure if he is telling Lucy how cool Shelby Lynne is or what, but he is showing her something on itunes. And she is listening carefully. Love it. Click here for more on the Damn Good Music Page. 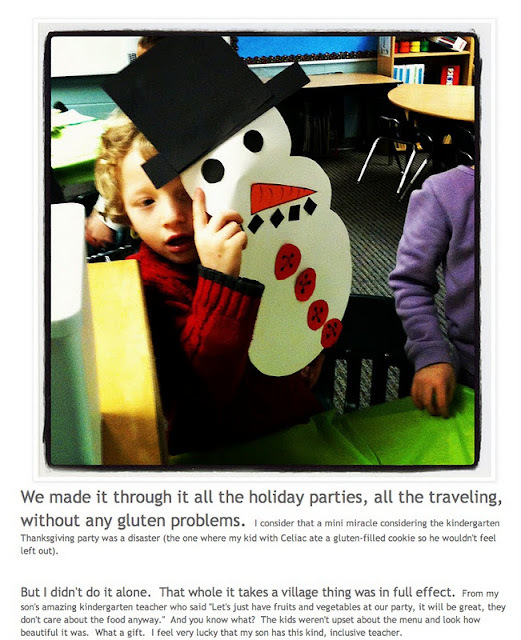 And check out the newest blog post from A Gluten-Free Family, my other blog. It's all about how we survived the holidays being gluten free. Click here to go to AGluten-FreeFamily.blogpot.com.